The sad fact is that today, starting a conversation with “the Bible says” will often cause the listener to stop listening. So what you do is make arguments based on what the Reformers called common grace, or what historically has been called natural law. This is why we must study biblical worldview, to compare how the Bible works out in life versus how other systems of thought do. 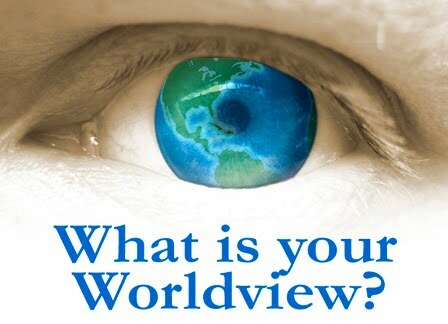 I assure you: You will see that the biblical way is the only way to make sense of the world, to live rationally in the world, and eventually, your friends will see this as well. I like what Mr Colson is saying here. Yet communicating biblical thoughts to others can be very difficult at times. Sometimes in my life I have so cloistered myself and found it so difficult to find any common ground to build a conversation with others on. In times like those I did not feel a need to understand why people thought the way that they did and did not see a need to know any other view than my own. Yes, I was pretty arrogant. These days I am a bit more secure in my beliefs and enjoy discussing topics with others. On spiritual matters I enjoy a good natured debate with folks who do not think like me. In the political spectrum I feel that I have learned much from people that I once closed my ears to. What has resulted in my life is the ability to see past the dull blacks and whites as I gaze at the many beautiful colors of our world. And it is beautiful you know. Great stuff. I like it. Not sure about the Chambers quote, but I love the general theme. Quoting the Bible to people who don't respect it is often like spitting into the wind. There is enough "truth" revealed in the creation and in the heart of man to go a long way in discovering the Truth. Yes, I have been there too. I remember saying to myself once, what makes me think I am right? More so, if I can object the views of my fellow Christians friends as something that was "wrongly" indoctrinated, someone could say that of me too some years down the line. What makes me so right? Moreover, with our lives and cultures are so faraway from that in the biblical times, we need to be careful in not to read and interpret it with our different coloured glasses. One thing that has been filling my mind lately is one of the heritage of my culture - the yin yang and the I Ching, which I know close to nothing at all. But they are part of my culture. I am trying to see how they square with my Christian beliefs.